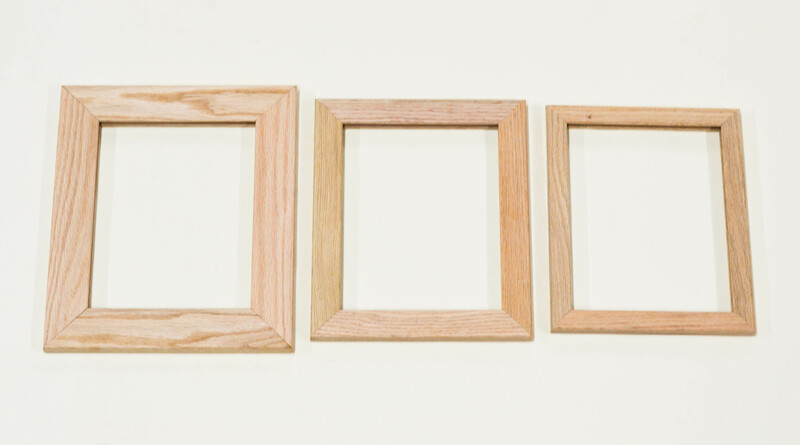 Standard frame sizes in solid unfinished red oak. 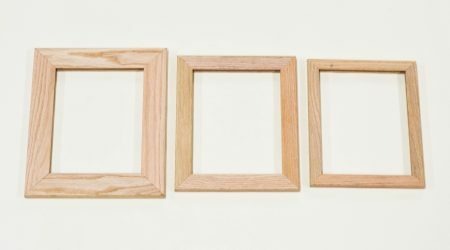 Frames are unfinished and prep-sanded, ready for your choice of stain or finish. Glass Sizes Available: 4×6, 5×7, 8×10, and 11×14, and 16×20. 2-sided viewing frames come un-assembled and pre-drilled. Included: 4 wood side pieces and assembly hardware. *If you would prefer the Foil Groove (3/16″), just make a note in the message at checkout.